June 29th, 2017 By: GGT Category: 2017/11 release, Figure News. 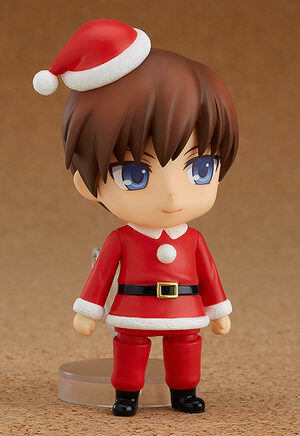 Good Smile Company is gong to release the Nendoroid More: Christmas Set Male Ver. ( きせかえクリスマス 男の子Ver. ) accessories for Nendoroid. Will be released in November 2017. Around 45mm tall (the Nendoroid body), 1,667 yen. The sixth Nendoroid Dress-up Set! Cute Santa outfits! 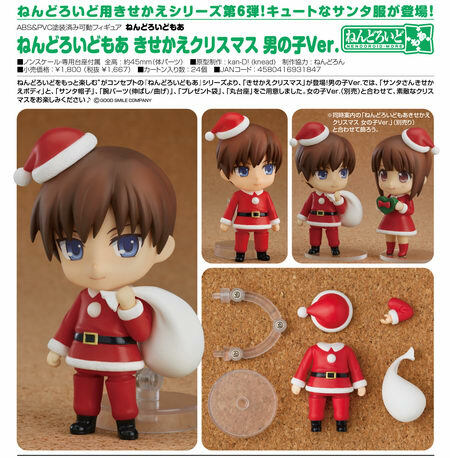 The Nendoroid More series is a series of products designed to make Nendoroids even more enjoyable, and this new addition to the “Dress-Up” series allows you to dress up your favorite characters for Christmas with a cute Santa outfit!! This Male Ver. 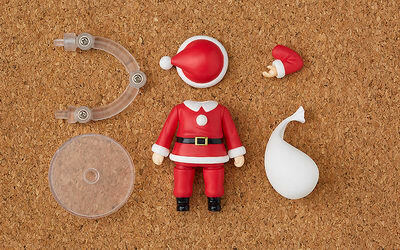 of the set comes with a male Santa body, a Santa hat, straight and bent arms, a sack of presents and a round base. 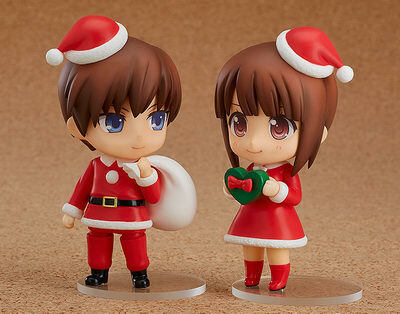 Display the male version together with the separately sold female version to bring out the Christmas spirit even more! 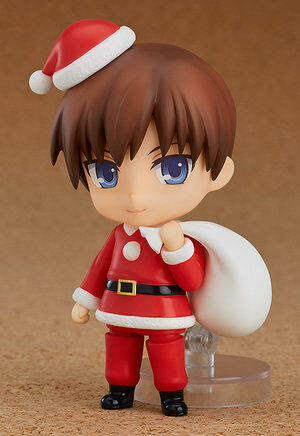 Also Available: Nendoroid More: Christmas Set Female Ver. *The design of this product may not be compatible with all Nendoroid character designs.